If you own a split-top dining table, you’ll find one of our Leaf Storage Cabinets a handy way to store the leaves when they’re removed from your table. 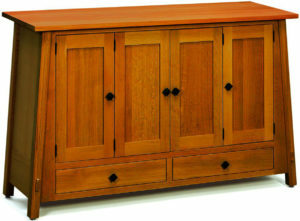 So we’re offering several Amish leaf storage cabinets to choose from. What’s more, the Midwest’s top Amish cabinetmakers craft them all. And the Amish men use solid regional hardwoods — like maple, oak, cherry and hickory. As a result, the leaf storage cabinets are incredibly sturdy. 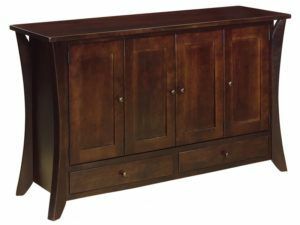 At Weaver Furniture Sales, we see a leaf storage cabinet as far more than just a place to store your dining table leaves. 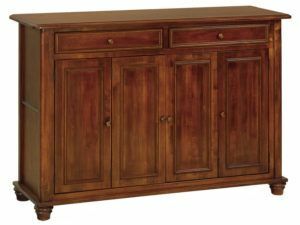 Because we consider it to be a vital part of your dining room or pantry furniture ensemble. 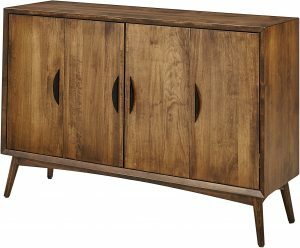 And that’s why we offer leaf storage cabinets in traditional and avant-garde styles. So it will complement your existing furniture. Also, the tabletop potentially serves other functions, such as a server or a place for decorative arrangements. Don’t see exactly what you want? That’s okay. Just give us your customizing ideas – based on an existing piece or something from scratch. And we will create a leaf storage piece that’s uniquely yours!